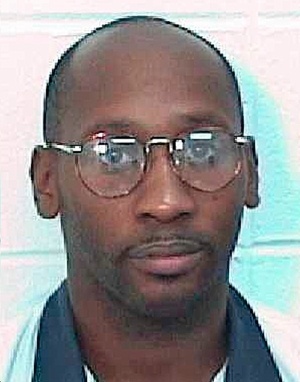 Jail | SyNaMATIQ = "Cin·e·Mat·ic"
Troy Davis has run out of appeals. Davis was denied clemency this morning by the Georgia Board of Pardons and Paroles, the only authority in the state that can commute a death sentence, and is set to be executed Wednesday night at the state prison in Jackson. Davis was convicted in 1989 for the shooting death of off-duty officer Mark Allen McPhail. McPhail was working as a night security guard in Savannah when he ran to help a homeless man who was the victim of an assault. In the chaos that followed, McPhail was shot three times. Police never found the murder weapon, and seven of the nine witnesseswho said Davis was the shooter have since changed their story. In 2007, one of those seven witnesses told ABC News that she initially pointed the finger at Davis because of police coercion, and that she believed the real killer was one of the other witnesses. She said she feared he would come after her if she told the truth. She did not want to be identified at the time. Another woman told the parole board Monday that she too believed the real killer went free. Quiana Glover said that she overheard Slyvester “Redd” Coles say that he was actually the shooter. Coles had been drinking heavily, she said. They were both at a party. Coles, it turns out, was the first to implicate Davis, and at trial he testified that he left the scene before the shots were fired. The officer’s family said after the decision was announced that they simply want justice. She points out that this is Davis’s fourth execution date, in a case that at one point went before the US Supreme Court. McPhail’s family has never had any doubt that Troy Davis was the shooter. They believe he was properly convicted. There are still a good many people who believe the state of Georgia is about to execute an innocent man. The NAACP, Amnesty International, and other groups have all decried the parole board’s decision, all suggesting that life in prison would have been a more just decision. At time of McPhail’s murder in 1989, the shooting divided Savannah along racial and socio-economic lines. The police were under tremendous pressure to solve the case, and put the killer away. Davis is scheduled to die at 7 p.m. Wednesday night. 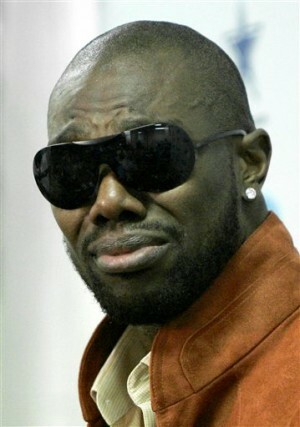 Share this: SyNaMATIQ = "Cin·e·Mat·ic"
Looks like Terrell Owens may be headed to the slammer over failure to pay child support. TO’s baby mama Melanie Paige Smith has filed a petition with a judge to throw him in jail for not paying a $5,000 a month stipend. Owens has not paid for the months of August or September and didn’t pay the full child support payment for June and July. Terrell blames the NFL lockout, saying he’s only able to pay half of the monthly stipend. The judge could decide to jail TO and force him to pay all back child support and lawyers’ fees, but we’ll have to await that decision to come down. He says he doesn’t have it, do you believe him? Should he be allowed to pay less in child support? T.I. was set free this morning according to TMZ. A spokesman for the Federal Bureau of Prisons, told the website that the rapper was “in transit” to either a halfway house or home confinement to finish out the rest of his 11-month sentence. Tip was originally jailed on November 1, 2010 for violating his federal probation by possessing and testing positive for ecstacy, following an October 1, 2010 traffic stop in Los Angeles. The Grand Hustle CEO wasted no time getting on Twitter to let his fans know that he is home. At dawn on July 19, nearly 40 Immigration and Customs Enforcement (ICE) and Homeland Security Immigration (HSI) agents burst into the home home of Carmen Bonilla, 44. The agents were searching for “Robert” an alleged drug dealer, but ended up terrifying Bonilla and her son Michael, 16, daughter Josefina, 23, daughter-in-law Leticia, 28, and two of her granddaughters. According to Jessica Dominguez, the family’s lawyer, and Jorge Mario Cabrera, spokesperson of the Coalition for Human Immigrant Rights of Los Angeles (CHIRLA), the family was subjected to “different levels of physical and verbal abuse,” including screaming, “kicking, beating and aggression.” Their treatment was documented last week by HuffPost LatinoVoices’ Jorge Luis Macías. What happened to the Bonillas has happened to thousands of immigrant families. Immigration authorities — both local police and federal ICE agents — have embarked on a program to seek out “criminal illegal aliens” and, whether they find them or not, have often rounded up entire families for deportation. Even though the Bonilla family members do not have criminal records, they face removal proceedings before an immigration judge. The family was able to find legal representation and general public support, enabling their release from ICE custody, but undocumented immigrants who are less lucky are routinely sent to prisons and detention centers where ICE will process their paperwork and decide whether they may be released. “If they have a criminal record, particularly a drug or security-related conviction, or a felony or violent crime, or crime of moral turpitude, they will likely have to remain in custody until their trial before the [immigration judge],” explained Aggie R. Hoffman, an immigration attorney. The Department of Homeland Security pays between $50 to $200 per day per person to local, county and state prisons to house apprehended aliens. A few years ago, a series I wrote for La Opinión showed how prisons in general, and California’s prisons in particular, benefit from the largesse of the federal government and vie for a piece of this lucrative business. At that time, I visited a detention center in Lancaster, Calif., run by the Sheriff of Los Angeles, where immigrants rounded up in raids were housed until their deportation or legal proceedings. The process is supposed to take just a few days, but some of the detainees rushed to tell me that they had been kept there for more than two years. “This happens frequently because the courts are so backlogged; not enough judges to hear the cases of those being held”, explained Hoffman. But the incarceration trend is not limited to public prisons. Thanks to a concerted lobbying push from the corrections industry, growing numbers of undocumented immigrants could end up in private detention facilities. Over the past three years, immigration politics has seen more restrictive legislation at the state level and the unprecedented enforcement of current laws by the Obama administration. Together, the laws and the stepped up enforcement have the potential to bring tens of thousands of individuals into for-profit jails. The recent animated video “Immigrants for Sale” by the activist group Cuéntame illustrates some facts behind the connection between the ongoing crackdown on illegal immigration and the for-profit corrections industry. The video follows the trail of money and political power behind this piece of the national immigration debate. Its creators say it’s an attempt to uncover what lies behind the positions and ideologies in a discussion in which statements and accusations made at maximum volume have long replaced the open exchange of ideas and opinions. “Cuéntame means ‘tell me your story,'” said the group’s founder, producer/director Axel Woolfolk Caballero. He said the organization works to make an impact through short videos, docu-series, media campaigns and “interviews from the street or in our studio or sent to us by others.” Cuéntame is part of the Brave New Foundation, which focuses on social justice media. The video states that behind the words and laws, there is an alliance of businesses and politicians called the American Legislative Exchange Council, or ALEC. Some of ALEC’s members are both the most ardent proponents of anti-immigration laws and representatives of the industries that will benefit directly from having more people behind bars. At least 12 companies involved in the corrections industry are members of the alliance. ALEC was created in 1978 and is headquartered in Washington, D.C. According to the group’s mission statement, it is “a non-profit, private organization dedicated to principles of free markets, limited government, federalism (the proper balance of federal and state government), and individual liberty.” ALEC achieves these aims through a exchange of ideas between state politicians and business leaders, facilitating the legislative process around certain causes dear to the latter. Through one of ALEC’s eight committees, lawyers and business experts actually write laws that are later enacted almost verbatim. 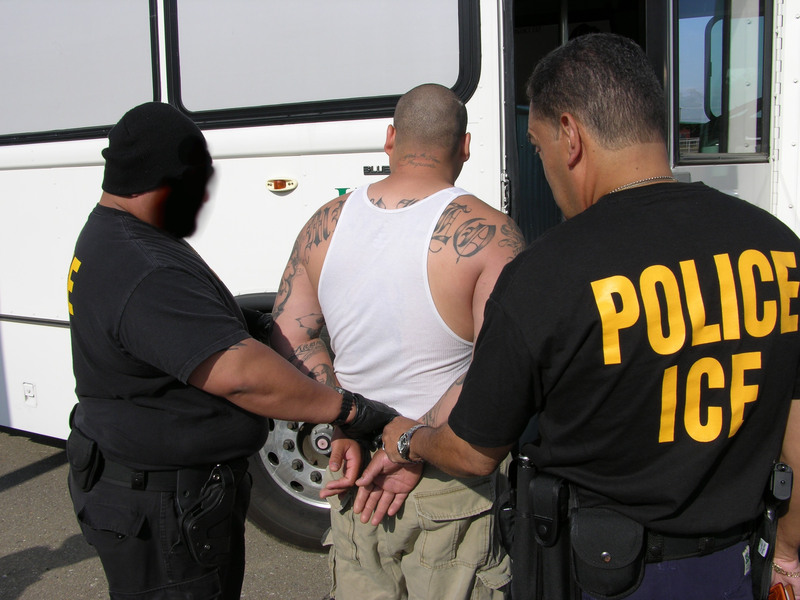 Cuéntame focuses on ALEC members’ use of political pressure to achieve more restrictive immigration laws, which require longer detentions and a larger number of detainees. Some of ALEC’s model bills include the “three Strikes” law, changes in mandatory minimum sentences and “truth-in-sentencing,” which would further eliminate the possibility of parole for many inmates. One of the best known legislative members of ALEC is State Senator Russell Pearce, a proponent of Arizona’s very restrictive immigration law, SB 1070. According to an investigation by NPR, Pearce took his version of the legislation to an ALEC meeting, where it was then revised and adapted by members of the corrections industry, obtaining their unqualified support. SB 1070 has been imitated by similar laws — some even stricter and more encompassing — in at least five other states. These include HB 56 in Alabama, Utah’s Compact / HB 497, Indiana’s SB 590, Georgia’s HB 87 and South Carolina’s S 20. ALEC is now working on a series of laws concerning prisons, including The Housing Out-of-State Prisoners in a Private Prison Act; The Prison Industries Act; The Inmate Labor Disclosure Act; A Resolution on Prison Expenditures; a Model State Bill Prohibiting Wireless Handsets in Prisons; the Targeted Contracting for Certain Correctional Facilities and Services Act; and the Prevention of Illegal Payments to Inmates Incentives Act, details of which are restricted to ALEC members only. One of ALEC’s members is Corrections Corporation of America, the country’s largest for-profit prison company, founded in 1983. CCA designs, builds, manages and operates correctional facilities and detention centers on behalf of the Federal Bureau of Prisons, Immigration and Customs Enforcement and the United States Marshal Service in nearly half of all states, according to the company’s website. According to Cuéntame, CCA houses about 60 percent of the almost 100,000 — up from 14,000 in 2006 — immigrant detainees at any given time. In 2008, the New Yorker published an expose drawing attention businesses involved in the imprisonment of families with children in the T. Don Hutto Detention Center in Texas, a CCA facility. CCA, together with other prison companies GEO Group and Management and Training Corporation, owns more than 200 private prisons with 150,000 beds and makes an annual profit of $5 billion, Cuéntame found. Rapper Lil Boosie could face extra jail time for attempting to smuggle a drug cocktail called “sizzurp” into prison, the Associated Press reports. 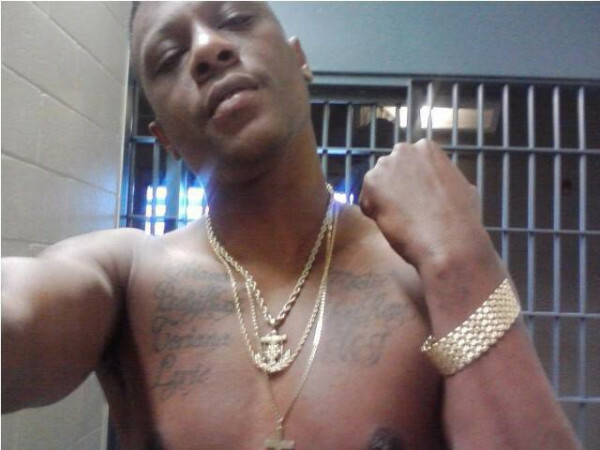 Lil Boosie, a 28-year-old rapper from Baton Rouge, is already serving time on another drug charge. Boosie is awaiting trial on a first-degree murder charge, for which he could be sentenced to the death penalty. An East Baton Rouge Parish grand jury indicted Hatch on one count of criminal conspiracy to take contraband to and from a penal institution, and another count of inciting a felony. According to CBS affiliate WAFB, a “confidential source” told authors about the rapper’s alleged drug smuggling scheme on April 9. He thought he was giving the codeine syrup mixture to a security worker at the prison, but it was really a state trooper. The creeping criminalization of pregnant women is a new front in the culture wars over abortion. Rennie Gibbs is accused of murder, but the crime she is alleged to have committed does not sound like an ordinary killing. Yet she faces life in prison in Mississippi over the death of her unborn child. Gibbs became pregnant aged 15, but lost the baby in December 2006 in a stillbirth when she was 36 weeks into the pregnancy. When prosecutors discovered that she had a cocaine habit – though there is no evidence that drug abuse had anything to do with the baby’s death – they charged her with the “depraved-heart murder” of her child, which carries a mandatory life sentence. Gibbs is the first woman in Mississippi to be charged with murder relating to the loss of her unborn baby. But her case is by no means isolated. Across the US more and more prosecutions are being brought that seek to turn pregnant women into criminals. Bei Bei Shuai, 34, has spent the past three months in a prison cell in Indianapolis charged with murdering her baby. On December 23rd she tried to commit suicide by taking rat poison after her boyfriend abandoned her. Shuai was rushed to hospital and survived, but she was 33 weeks pregnant and her baby, to whom she gave birth a week after the suicide attempt and whom she called Angel, died after four days. In March Shuai was charged with murder and attempted foeticide and she has been in custody since without the offer of bail. In Alabama at least 40 cases have been brought under the state’s “chemical endangerment” law. Introduced in 2006, the statute was designed to protect children whose parents were cooking methamphetamine in the home and thus putting their children at risk from inhaling the fumes. Amanda Kimbrough is one of the women who have been ensnared as a result of the law being applied in a wholly different way. During her pregnancy her fetus was diagnosed with possible Down’s syndrome and doctors suggested she consider a termination, which Kimbrough declined as she is not in favour of abortion. The baby was delivered by caesarean section prematurely in April 2008 and died 19 minutes after birth. Six months later Kimbrough was arrested at home and charged with “chemical endangerment” of her unborn child on the grounds that she had taken drugs during the pregnancy – a claim she has denied. Women’s rights campaigners see the creeping criminalization of pregnant women as a new front in the culture wars over abortion, in which conservative prosecutors are chipping away at hard-won freedoms by stretching protection laws to include foetuses, in some cases from the day of conception. In Gibbs’ case defence lawyers have argued before Mississippi’s highest court that her prosecution makes no sense. Under Mississippi law it is a crime for any person except the mother to try to cause an abortion. “If it’s not a crime for a mother to intentionally end her pregnancy, how can it be a crime for her to do it unintentionally, whether by taking drugs or smoking or whatever it is,” Robert McDuff, a civil rights lawyer asked the state supreme court. McDuff told the Guardian that he hoped the Gibbs prosecution was an isolated example. He pointed out that anti-abortion groups were trying to amend the Mississippi constitution by setting up a state referendum, or ballot initiative, that would widen the definition of a person under the state’s bill of rights to include a fetus from the day of conception. Some 70 organisations across America have come together to file testimonies, known as amicus briefs, in support of Gibbs that protest against her treatment on several levels. One says that to treat “as a murderer a girl who has experienced a stillbirth serves only to increase her suffering”. Another, from a group of psychologists, laments the misunderstanding of addiction that lies behind the indictment. Gibbs did not take cocaine because she had a “depraved heart” or to “harm the fetus but to satisfy an acute psychological and physical need for that particular substance”, says the brief. The state could not have intended this result when it adopted the homicide statute. Paltrow sees what is happening to Gibbs as a small taste of what would be unleashed were the constitutional right to an abortion ever overturned. At least 38 of the 50 states across America have introduced fetal homicide laws that were intended to protect pregnant women and their unborn children from violent attacks by third parties – usually abusive male partners – but are increasingly being turned by renegade prosecutors against the women themselves. South Carolina was one of the first states to introduce such a foetal homicide law. National Advocates for Pregnant Women has found only one case of a South Carolina man who assaulted a pregnant woman having been charged under its terms, and his conviction was eventually overturned. Yet the group estimates there have been up to 300 women arrested for their actions during pregnancy. In other states laws designed to protect children against the damaging effects of drugs have similarly been twisted to punish childbearers. Hawaiian popster Bruno “Nothin’ on You” Mars has accepted a deal in state court in Las Vegas to plead guilty to felony possession of cocaine – with the proviso that the charge will be wiped if he remains a good boy for one year. Mars was arrested with 2.6 grams of cocaine after a Vegas club show on Sept. 19. Budding country star Gwyneth Paltrow, who is unjustly mocked by cruel gossipers, will perform the award-nominated song “Coming Home,” from her pic Country Strong, at the Grammys on Feb. 13 – and at the Oscars on Feb. 27. Sarah Palin to ™ herself? There’s been a snag in the latest plans by America’s foremost political family to achieve fame, wealth, fame, and more wealth: Sarah and Bristol Palin‘s attempt to become Sarah Palin™ and Bristol Palin™ has failed. Reuters says the Palins’ application to trademark their names, so they could “use their names for commerce” – say by introducing Palin™ Brand Lite Beer or Palin™ Tortilla Chips – was rejected. For now. They expect their next application to succeed. Johnny Depp has been bitten by the vampire bug: Deadline.com reports that Depp will star as Barnabas Collins opposite Eva Green as the witch Angelique in Tim Burton‘s adaptation of the beloved fangy soap Dark Shadows. MTV has killed Lauren Conrad‘s new reality show about The Hills star’s bid to be a fashion designer. I do hope they make a show about her career in astrophysics. Ben Affleck is directing a film about a screwy plan to rescue the hostages during the Iran hostage crisis, says the Hollywood Reporter. A velvety kiss . . .